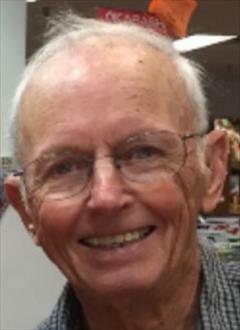 Funeral for Gerald Wayne Lee, 80, Elgin, will be at 1:30pm Monday, April 15, 2019, at Western Hills Church of Christ in Lawton with Monte Jennings officiating. 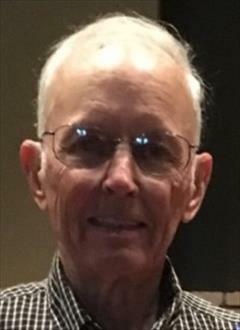 He passed away Friday, April 12, 2019, in Lawton with his family at his side. Burial will be at Fairview Cemetery in Apache under direction of Crews Funeral Home. He is survived by his wife, Barbara Lee of the home; children: Teresa K. Waller and husband Kim; Dr. Angela D. Lee; and Bradley W. Lee and wife Francy; step-son, Lee J. Tillman; grandchildren: Steven Lee and wife Josie, Blake Waller, Jason Weyher, Olivia Lee, Addison Lee, Wendy Tillman, Aaron Tillman, Baron Tillman II and wife Lana, Rance Tillman and wife Lindsi, Landon Tillman and wife Kendra, Karissa Sykes and husband Jason, and Lee J Tillman; great-grandchildren: Josh Myers, Matthew Myers, Caleb Weyher, Brayden Weyher, Jace Waller, Kallie Waller, Caden Lee, Shelby Weeks, Brendan Weeks, McKenna Madsourivong, Baron Tillman III, Halie Bridges, Lane Bridges, Travis Tillman, Maggie Tillman, Sean Sykes, Colton Sykes, Austin Tillman, Levi Tillman, Jayde Tillman, and Romi Tillman; great-great grandkids: Robin Myers and Elias J. Vealsey; brother, Donald Lee and wife Chris, sister, Nancy Thurman and husband Barney; brother-in-law, Randall Sechrist; and numerous nieces, nephews, extended family, students and friends. He is preceded in death by his first wife of 56 years, Janice K. Thompson; parents; Melvina and Inez Lee; sister, Melva Sechrist; granddaughter, Wendy Weeks; step-sons, Tyson Tillman and Baron Tillman; and great-granddaughter, Lillie Tillman.